The VCCM will focus on the ownership aspects of rare and collectable motor cars while still recognising their status as appreciating assets of passion. Topics will include the current market situation, restorations, valuations, insurance, trust and estate planning for collectables and local success stories, amongst others. The 2019 VCCM Line-Up includes Marque presentations and the focus will be on BMW, Harley-Davidson and Mini, which incidentally celebrates its 60th anniversary this year. 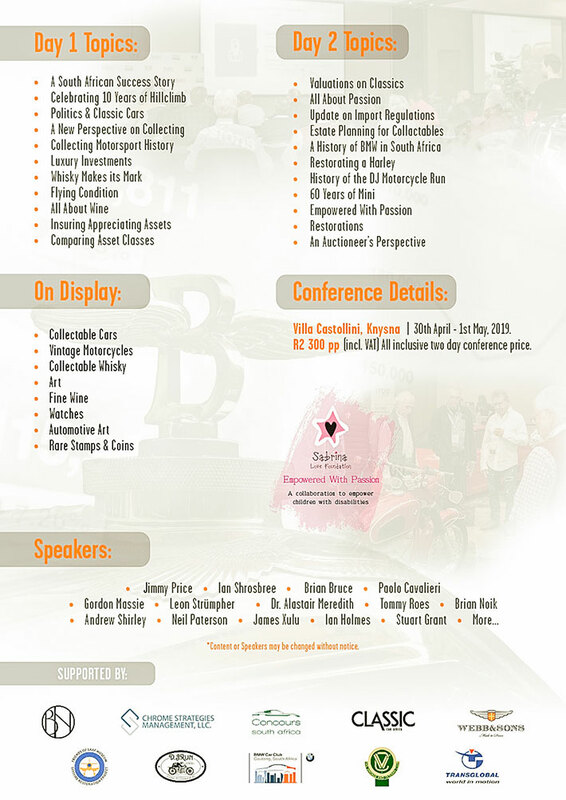 Also appearing will be Jimmy Price of Hi-Tech Automotive, Ian Grace, project director for the SAAF Museum Spitfire Restoration Project, James Xulu from Transglobal Logistics and Ian Shrosbree, organiser of The Jaguar Simola Hillclimb. In addition, there will be presentations on the history of the DJ motorcycle run and the Sabrina Love Foundation, a campaign for nurturing early childhood development in underprivileged communities on the Garden Route. Price for the two–day conference is R2 300 including VAT. 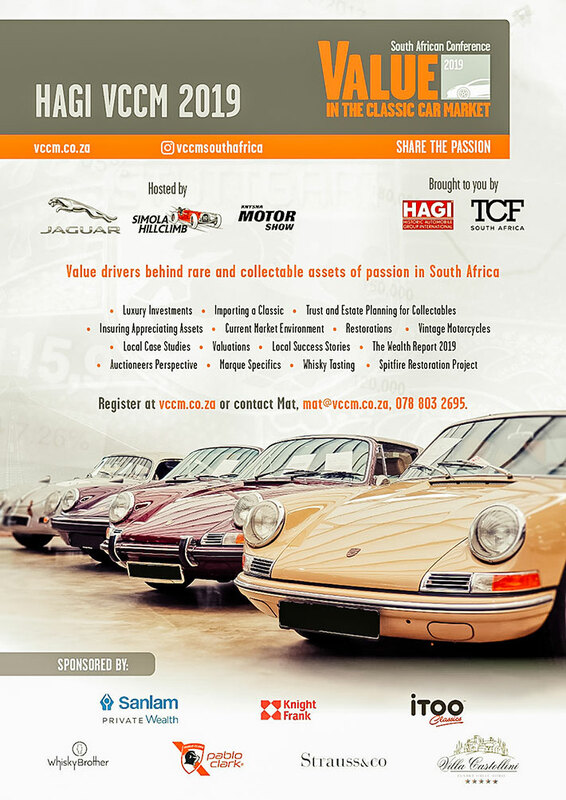 For registrations, visit www.vccm.co.za or contact Tommy Roes on 082 929 227 for more information.